A Water Sprite is a very common freshwater aquarium plant, and is almost always available in local pet stores and chain stores. Often, Water Sprite can be sold under different names including: Water Fern, Indian Fern and Indian Water Fern. 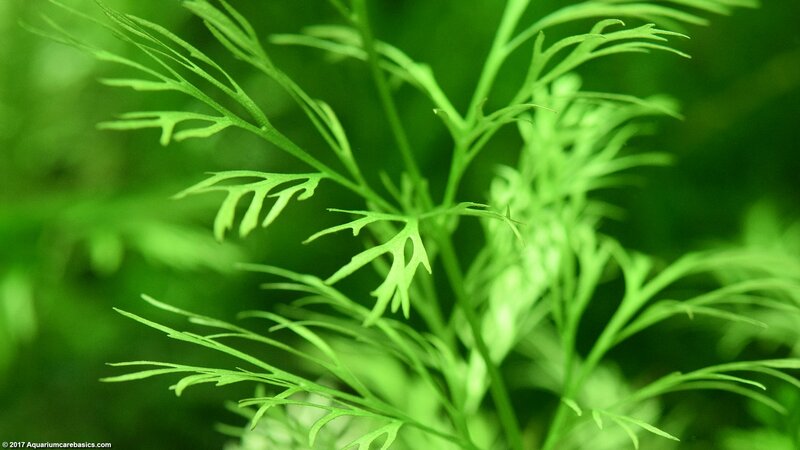 A Water Sprite plant is one of the more versatile aquarium plants around. A Water Sprite Plant can thrive either planted in substrate or left floating in the water. When shopping for a Water Sprite plant select healthy looking specimens with plentiful leaf blades, sturdy stems and adequate root structures. 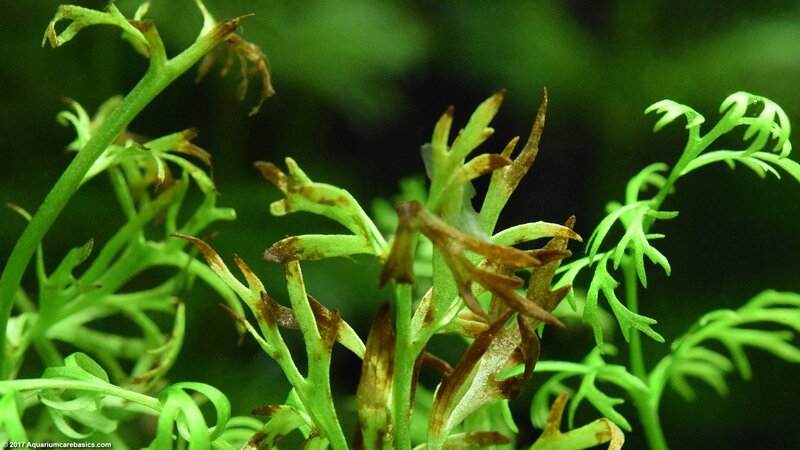 Healthy Water Spite leaves are fern-like, thin, light-green in color, and free from tears, cracks, rips and holes. Stem color may be a bit darker than the leaves, but stems are still on the light-green side. If planted or in a plastic container, the stems should be able to support the entire plant in an upright position. Plant roots should be long and as numerous as possible. 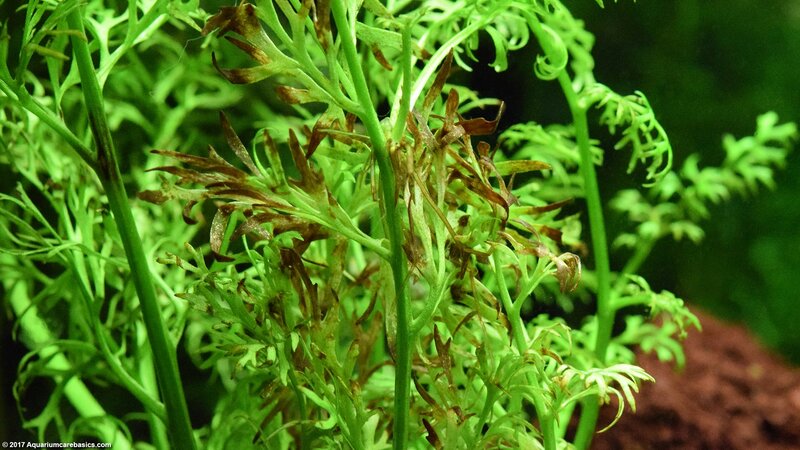 Avoid Water Sprite plants if its leaves and stems are few in number, damaged or dying. Make sure its leaves are not turning brown and curling up on the blade, tip or margin. 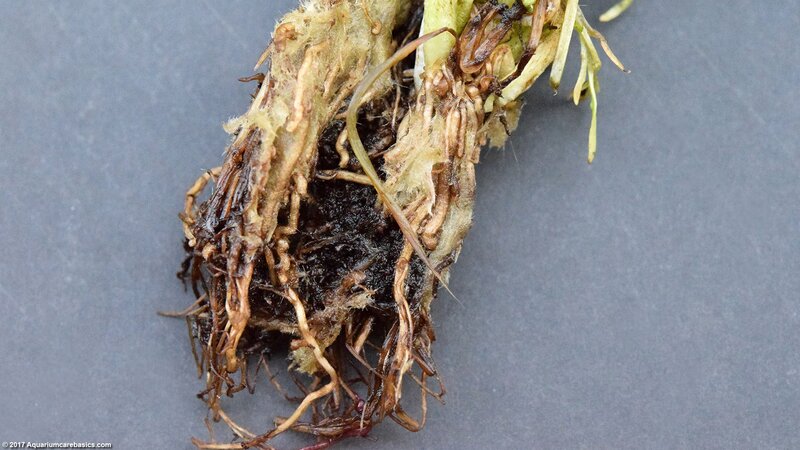 Finally, avoid Water Sprite plants with roots that are short, few in number, brown and decomposing. Water Sprite Plant: Planting Or Floating? A Water Sprite can be kept either planted or as a floating plant. 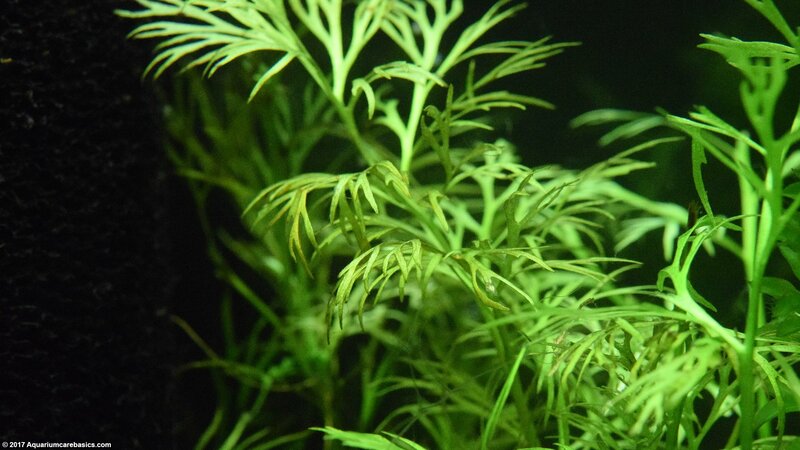 A planted Water Sprite works well in the midground or background, and can be used as a filler plant in either area to add green to space or fill holes in an aquascape. A floating Water Sprite can add beauty to a tank by providing green color near the water surface. Either way, a Water Sprite can be a great addition to a community tank. If planting Water Sprite be sure to have at least 2 – 3 inches of gravel or substrate for the roots. Dig a small indentation in the substrate. Gently grab the Water Sprite plant at the crown (where the roots meet the stems). Place the plant in the indentation, being careful not to damage the roots and stems. Once the Water Sprite roots are secure, move the substrate back into the indentation to keep the plant in place. Make sure the plant crown is visible to the eye and even with the surface of the substrate. Avoid planting Water Sprite with the crown too high, with its roots exposed. Also avoid planting the crown too low so the crown is buried. Finally, while Water Sprite can survive planted in either substrate or gravel, its better to keep live aquarium plants in nutrient rich plant substrate as opposed to aquarium gravel. If planting Water Sprite as a background plant, its probably a good idea to position the plant away from power filter water intakes. The delicate fine leaves and stems may get sucked into the filter intake openings. The plant leaves can get damaged or the filter intake can get clogged, or both. So it may be a good idea to keep a sponge pre-filter on the water intake. If planting Water Sprite as a midground plant, be sure to allow the plant enough room to grow. 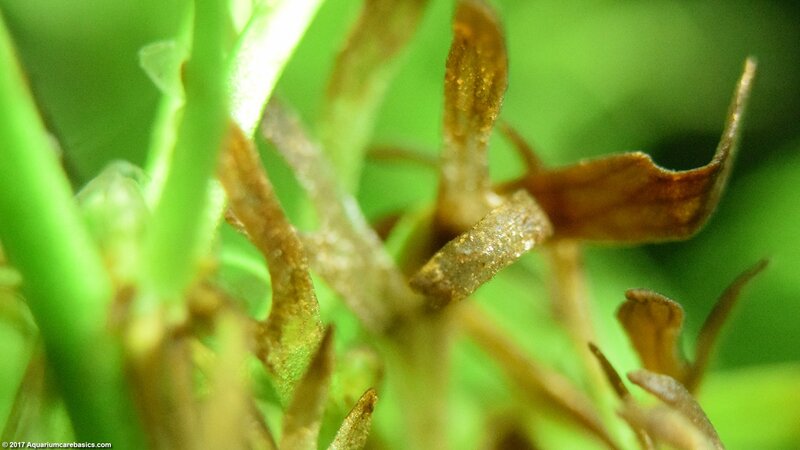 The plant stems will grow generally up toward the water surface. 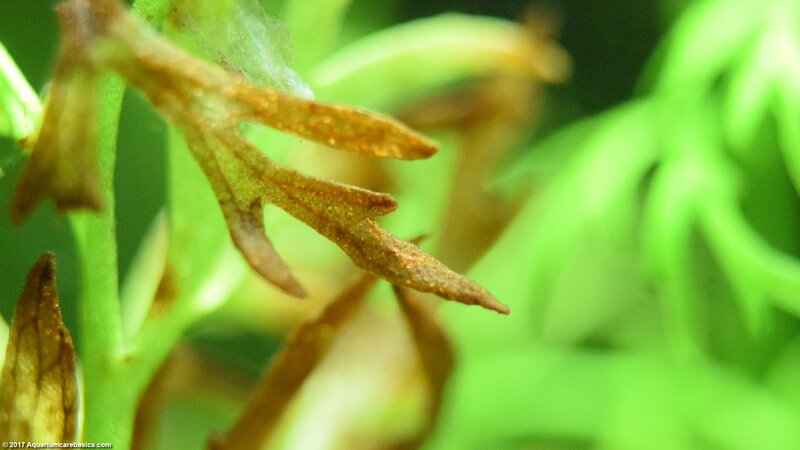 But as the stems grow, the plant leaves will take up more lateral space in the tank. Its not really a big problem, but its worth a mention just for the sake of planning ahead. 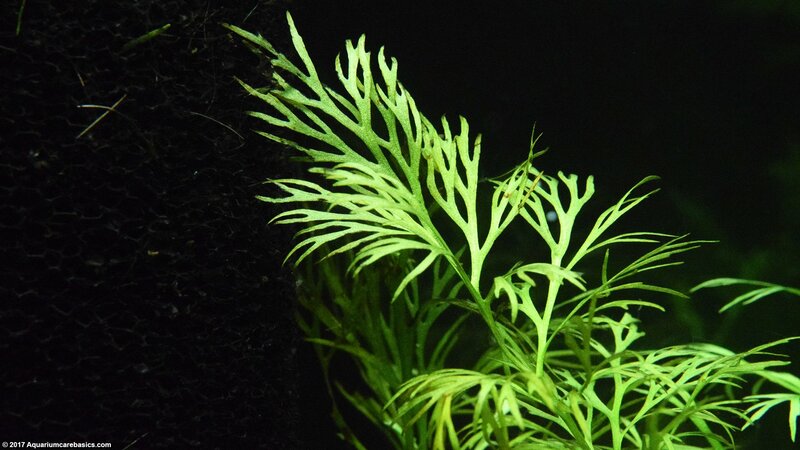 Some hobbyists may even like planting Water Sprite as a foreground plant, creating a low bushy shrub effect near the front of the tank. As stems with leaves break off the mother plant, instead of just letting them float, they can be planted an inch or so apart in the foreground. They should take root shortly, and form a small hedge of light green leaves. A floating Water Sprite is an interesting angle because the plant can grow on the water surface, or simply in the water column growing against other plants or decorations. Floating a Water Sprite is easy. Just drop the stem and leaves into the aquarium water. 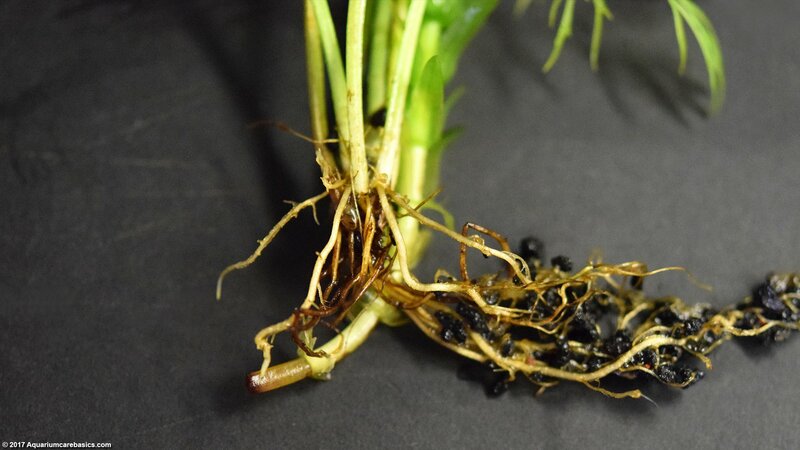 Within a couple days, the plant will start growing roots that will hang down from the plant, and the plant will pull its nutrients from the water itself. A floating Water Sprite can develop wider leaves then when planted because the plant will be closer to light. As the root system develops the plant will grow thin and fine primary roots. From the primary roots, the floating plant will also grow thinner and finer secondary roots. 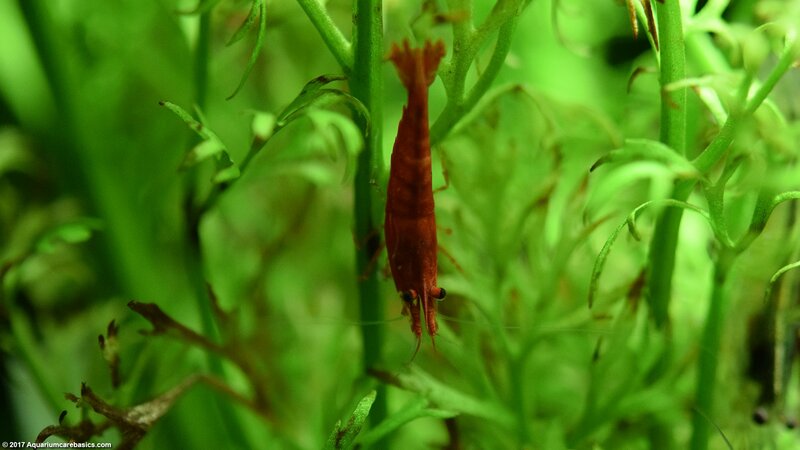 These very thin floating roots can trap little bits of edible matter, and can provide a great place for Amano Shrimp and Red Cherry Shrimp to spend hours feeding as they float around the tank. Floating Water Sprite also provides hobbyists with a chance to create shady areas in a tank. Because floating leaves will be very close to the light source they will prevent some light from making its way to the bottom of the tank. This means that floating water sprite can provide cover to other plants that need less light. This cover is especially helpful to hobbyists keeping low light plants with slow growing leaves like Anubias Barteri. Because Anubias Barteri leaves grow slowly, algae buildup can occur when the light is direct and intense. But with cover from floating Water Sprite, Anubias Barteri can still grow and not have much of an algae buildup problem. Another interesting thing about floating Water Sprite is its epiphyte-like qualities. The roots of a floating Water Sprite can find stability by wrapping themselves around other strong stemmed plants such as floating or planted Anacharis. Another thing floating Water Sprite plant roots can do is attach themselves to porous surfaces, like Lava Rock. The good news is that Water Sprite care is generally easy. Because of growth rate issues, some hobbyists may suggest that Water Sprite care is more “easy to moderate”. Water Sprite care easy because the plant is adaptable to a wide range of water conditions and light levels. 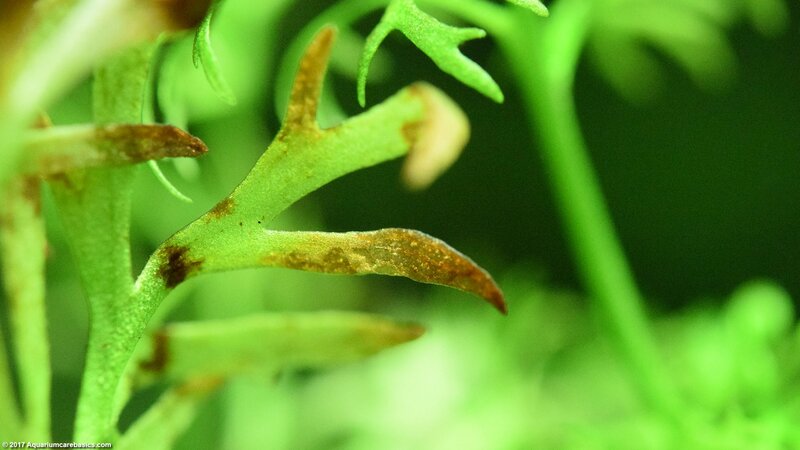 Where Water Sprite care may be challenging is that under decent conditions, the plant can grow like a weed, taking over a tank pretty quickly. So Water Sprite growth needs to be kept in check with regular trimming. When trimming Water Sprite Plants be careful not to tug at the plant. Just carefully trim excess growth or dead stems without tearing the plant. My preference is to trim the stem as close to the plant base as possible, because sometimes the remaining portion of the stem turns brown and dies after trimming. Water Sprite leaves can also break off the main plant. 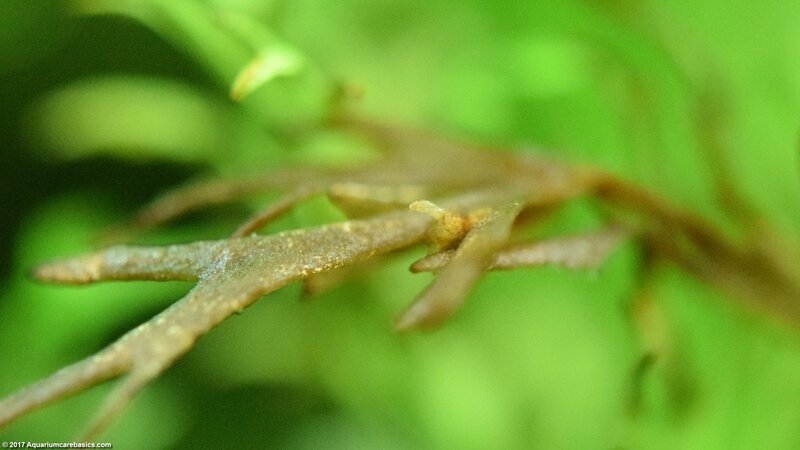 Hobbyists may observe little leaves floating throughout a tank and sticking on sponge pre-filters or filter intakes, creating an unsightly mess. Plant trimming and leaf-mess aside, because Water Sprite is so adaptable and versatile it is a good plant for beginners. Hobbyists should almost always be able to keep healthy Water Sprite plants in an established tank with acceptable parameters. 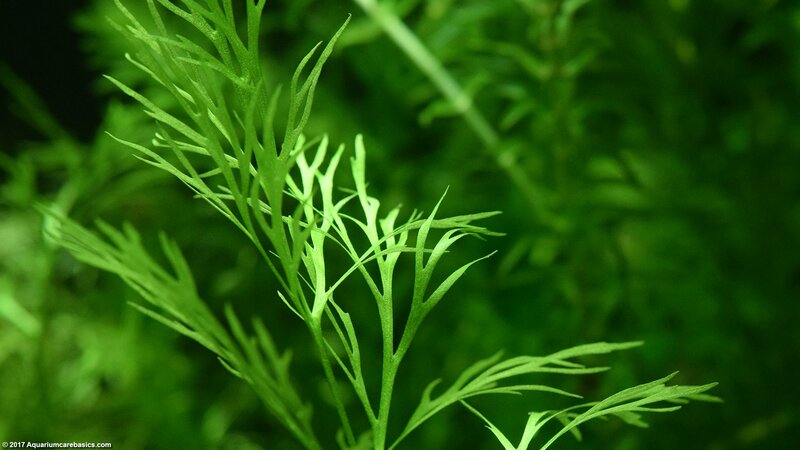 However, there may be times when a hobbyist just can’t get a particular Water Sprite plant to grow and survive, with replacement plants growing well in the same spot and under the same lighting and water conditions. Fortunately, Water Sprites are generally inexpensive so losing a plant now and then is not really a big deal in the scheme of things. But the issue is worth a mention. Planted or floating Water Sprite can do well in standard freshwater community tank water parameters, as well as in conditions with a wider range. 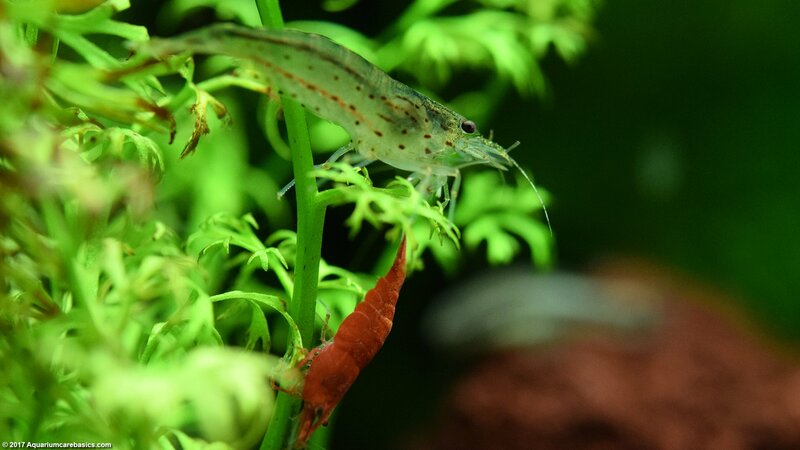 Aquarium pH can be between 7.0 and 7.5, although some hobbyists would suggest that a wider pH range more on the acidic side is not only acceptable but even preferable. Water temperature can be between 68 – 80 degrees Fahrenheit. Because Water Sprite can grow quickly its a good idea to keep the plant in a tank with sufficient size to provide room for growth. So the bigger the tank, the better. Under the right conditions, a planted Water Sprite can grow tall and bushy. A floating Water Sprite can mature into a floating green network of stems, leaves and roots in the water column. Ordinary community tank lighting is acceptable. But growth rate is influenced by lighting intensity and exposure time. Other things being equal, Water Sprite plants grow slower under low lighting conditions and faster under moderate or high lighting setups. Along these lines, longer hours of light will encourage faster growth compared to less hours of light. And the growth rate of Water Sprite floating in aquarium water is faster than the growth rate of the plant rooted in substrate. A floating plant receives much more intense light compared to plants near the bottom of the tank. 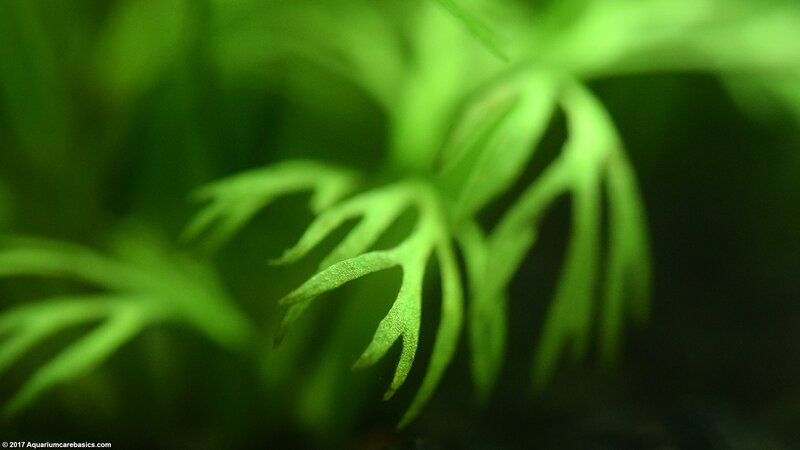 In addition, the root system of a Water Sprite floating in aquarium water seems to grow more extensively than when planted as well. Floating plant root systems grow to be web-like and fine, looking something like the fibers of a cloth. Planted root systems grow to look more like other types of planted plant roots, with longer primary and secondary roots. Finally, Water Sprite growth rate can be accelerated with doses of plant fertilizer in low tech tanks. Water Sprite leaves are delicate, numerous, fine and lattice-like. The blades grow outward from the plant stems and in web-like patterns resembling a fern plant. Planted Water Sprite leaves are more on the thin side, while floating Water Sprite leaves grow to look a bit hardier, wider and flatter. 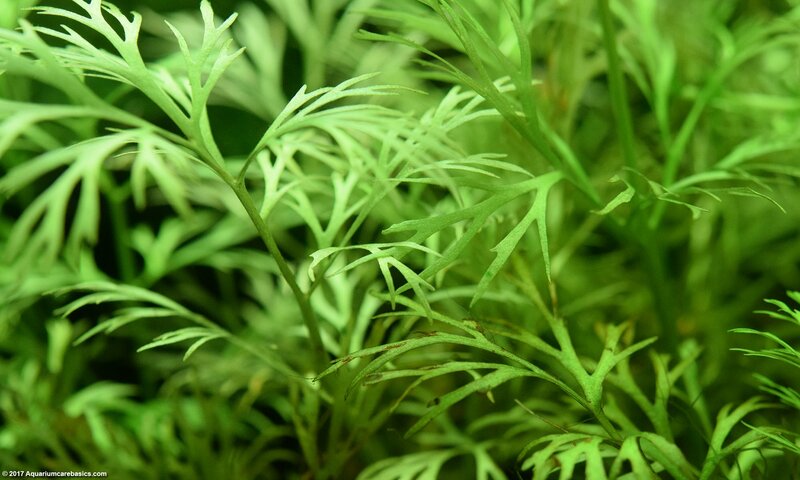 A Water Sprite is a good plant for freshwater community tank fish and freshwater shrimp. The fern-like leaves provide good cover and interesting places inhabitants to explore and hide. They also provide cover for babies. 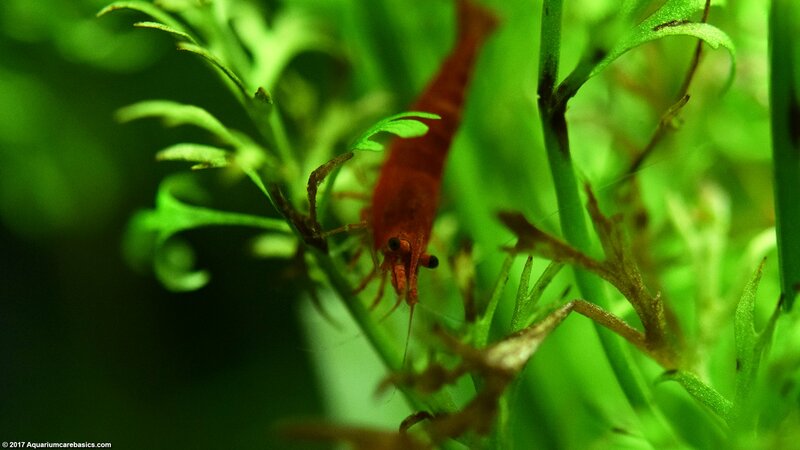 The fine leaves also trap bits of food giving Amano Shrimp and Red Cherry Shrimp a place to feast. Some snails may be a threat to Water Sprite, so keep that in mind. 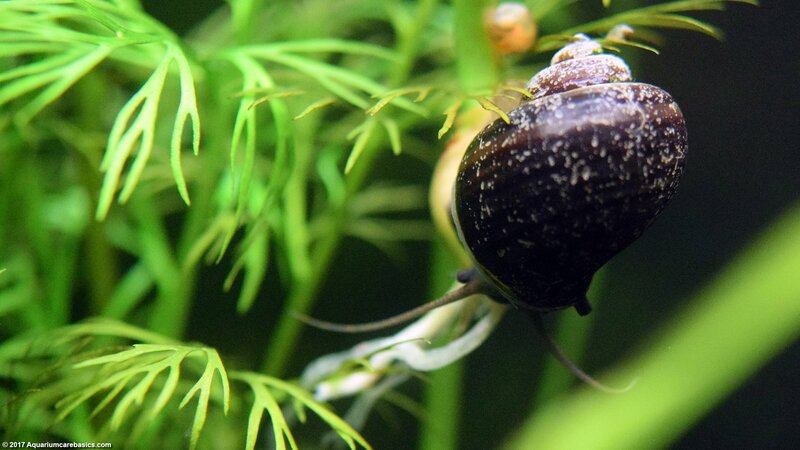 If snails are kept with Watersprite, make sure the snails are well fed. Water Sprite plants may not last very long in tanks with Cichlids and Goldfish, because those fish may eat the plant completely. If there are any questions regarding Water Sprite plants and compatibility, check with the clerk at the store before purchasing. 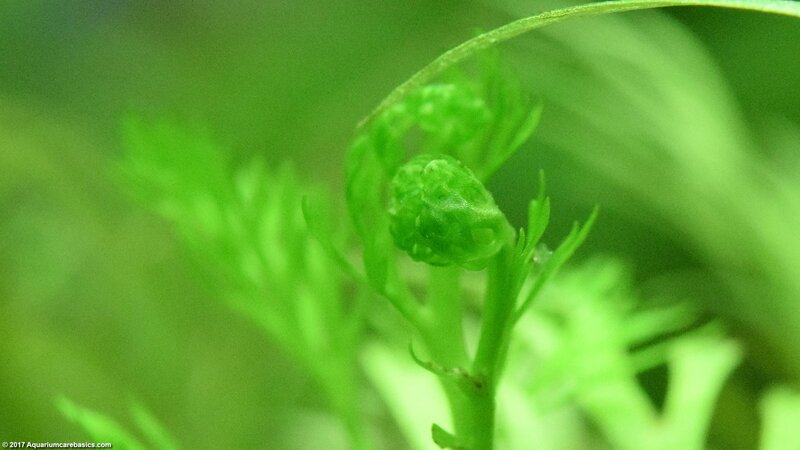 Water Sprite plants reproduce quickly by producing adventitious plantlets shooing off from the parent. These plantlets will grow root systems and break off the mother plant when they are ready, and survive in their own right. Another way these plants can be reproduced is by taking a trimmed stem with a healthy amount of leaves and dropping it the stem back into the water. In a few days, the trimmed stems should begin growing roots and survive as a new floating plant.